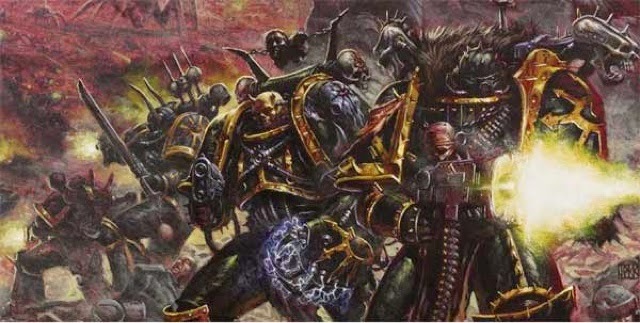 I realise I've been rather quiet since 7th edition came in and that's because life has been getting in the way again. 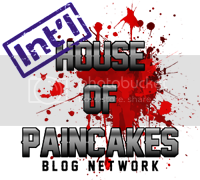 I have done some painting and played a few games which I'll summarise here. 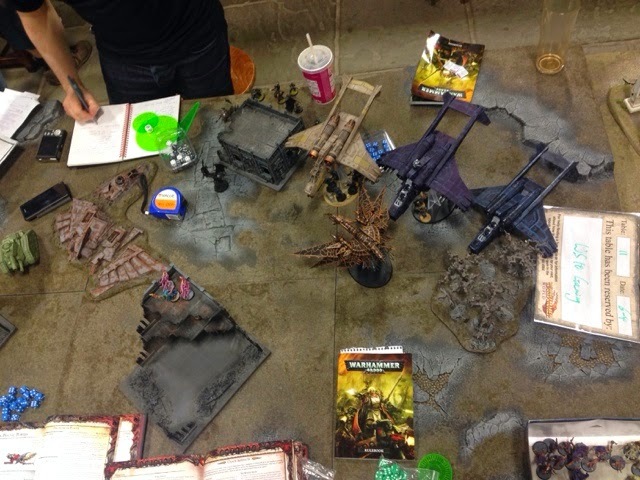 My very first game of 7th was with the awesome guys at #WS10, specifically Liam and his Blood Angels. 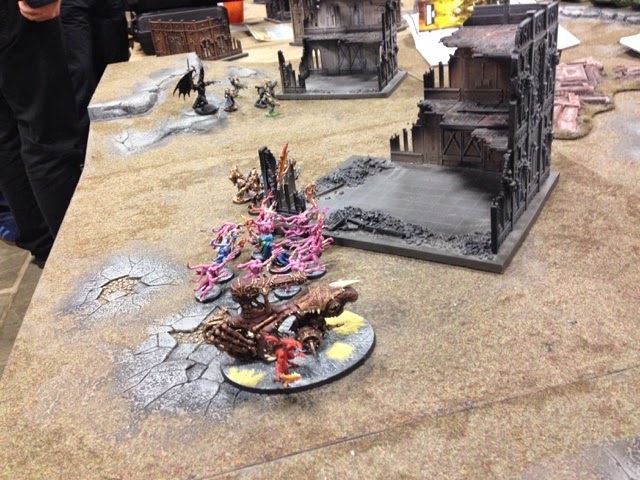 Naturally I went with a Daemon/CSM list that contained all four Greater Daemons and a total of 22 Mastery Levels. To cut a long (several hours long in fact) story short it was the least bloodthirsty game ever. First blood didn't get taken until Liam's second turn and that was the only full unit on my side to die. 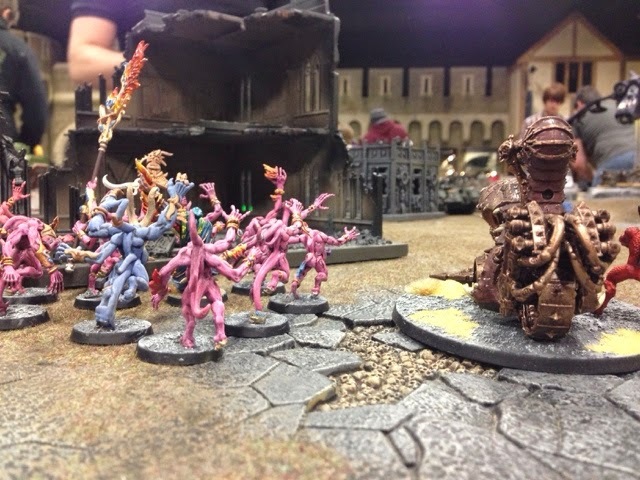 On his side I took one unit with my Great Unclean one. That's it. Sure there was the odd model here and there but full squads? Just the two. Now it probably didn't help that we were constantly checking the rules for changes and we did get into a few tactics discussions along the way but even so I took 30 minutes for my first Psychic phase. I think the problem was that I tried to use all of my powers instead of picking and choosing the most relevant to each situation and also my experience with Summoning for Daemonology, while effective, was nowhere near as game breaking as the forums and YouTube videos had led me to believe. Cursed Earth was amazing and should be taken if possible. That +1 to Daemon Invulnerable saves was a life saver and it meant that nothing I summonned scattered. 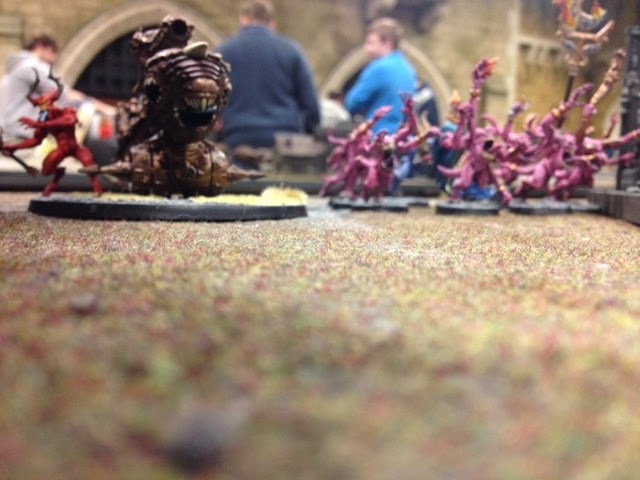 I also took a Tau tactic (gun line) and applied it to my Pink Horrors. 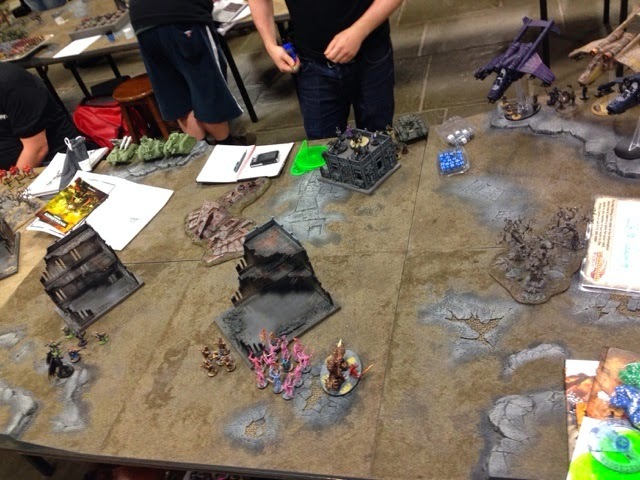 I spread them across my deployment and had them direct their powers practically everywhere on the board. I think that could have been very effective later on in the game as more enemies were on the board and is definitely something I'll try again. 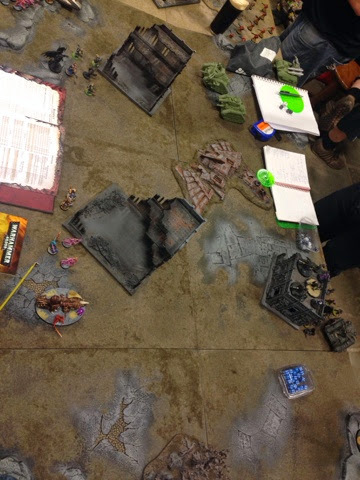 My second battle was a test for my third as I needed to see what my half of the list could do (it was a doubles match). 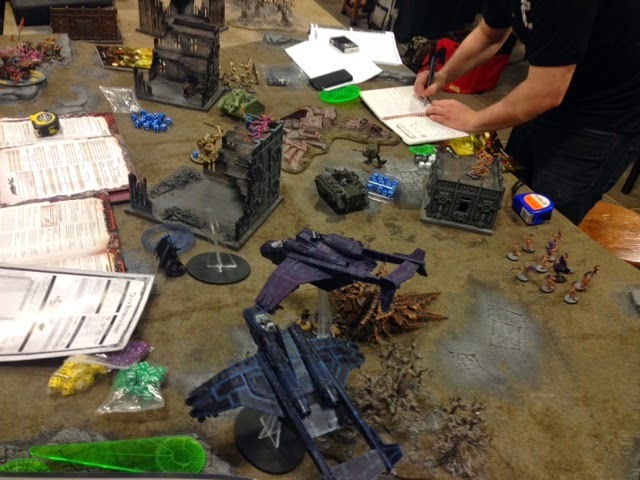 I've become renowned within #WS10 for my use of Daemons and Psykers and in all fairness I've definitely earned that reputation. 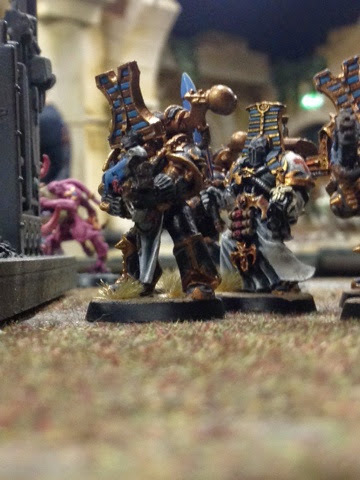 As a result I decided to go with pure Chaos Space Marines and only took one Psyker (what? I can't completely ignore my playing style). In my test run I was tabled in turn 5 due to my own impatience and recklessness so all I had left on the table was my Helbrute and Abaddon. 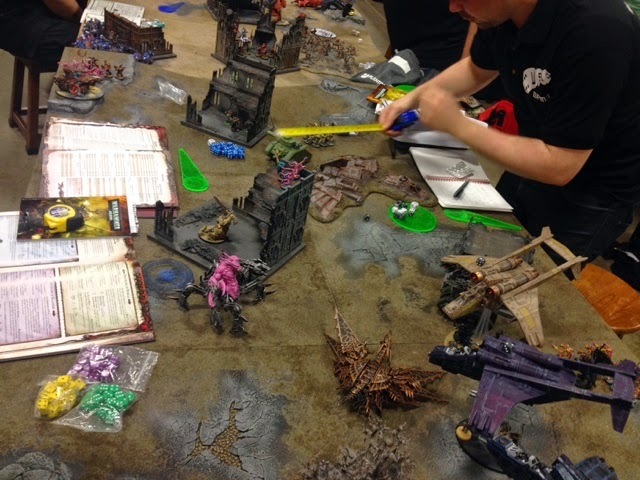 I have to say that Abaddon certainly proved he's worth the points as although he's only slightly above average in terms of shooting he REALLY shines in combat. 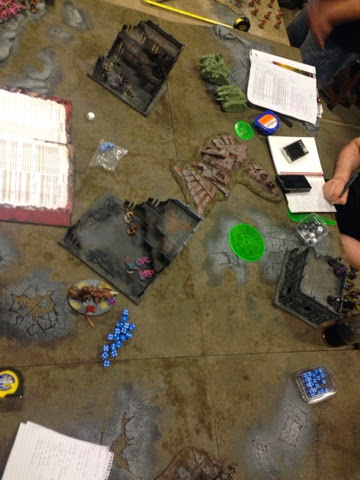 In my test he single-handedly took down a 10 man unit of Chaos Space Marines (my opponent), a Rhino (unfortunately empty), an Obliterator and his Warlord who happened to be on a bike. 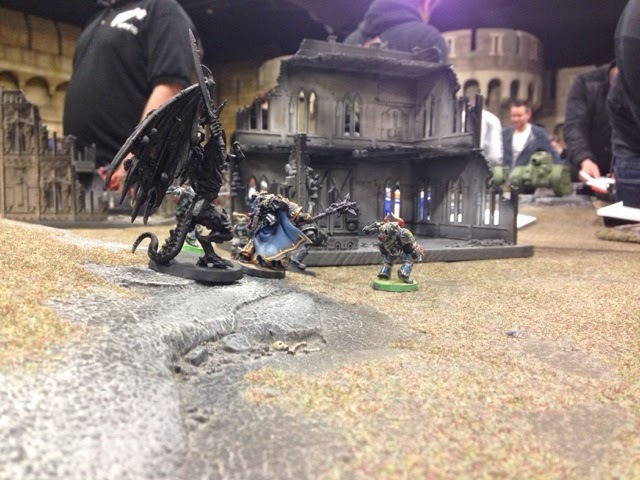 In the doubles game he took a hull point from one tank and killed Coteaz in hand to hand (I deployed them so they had to foot slog) My Terminators on the other hand proved to be little more than expensive meat shields and I think I can probably get another bodyguard for a lot less points. 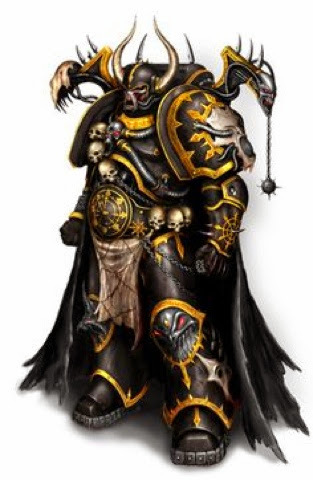 Terminators are good but not the way I used them so for Abaddon's guard I'll try something else. I have to say that I really enjoy 7th so far. 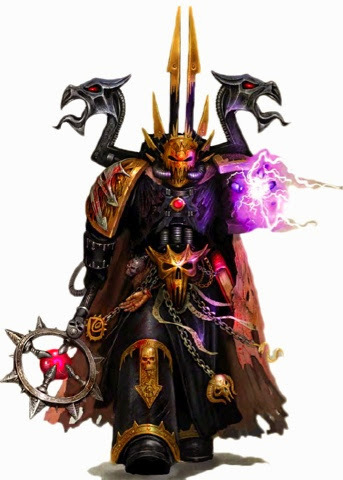 Couple of niggling rules issues aside (mostly with how my Psykers generate powers) I think it's been really well put together and somehow seems to work better than 6th and I know at least a few of #WS10 feel the same way. For now though I'll say goodbye and goodnight but I've got lots more to share over the next few days so please do stay tuned. I didn't want to add all the pictures to the last post because let's face it, it's pretty long already. So now you get Nerdvana part 2 which (aside from this paragraph and the odd comment) will be almost entirely pictures from the day so enjoy! Oh, in the miniatures gallery I may be in a couple of the pictures too. Try not to enjoy those ones too much. Edit: I posted this last month but it didn't upload and I've only just noticed.